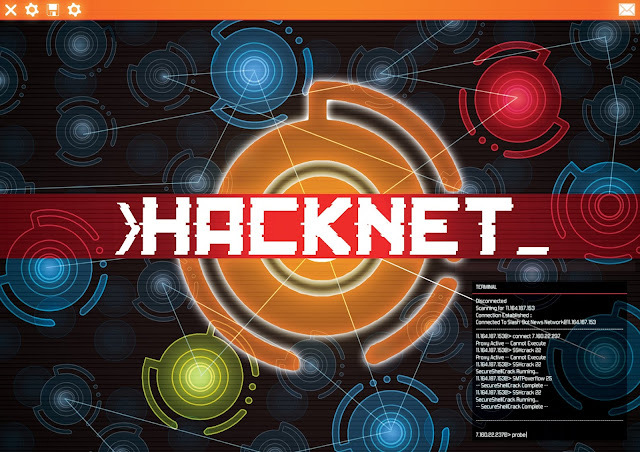 Hacknet, created by Adelaide-based developer Matt Trobbiani--aka Team Fractal Alligator--was selected as a finalist in the 2015 Serious Games Showcase and Challenge in the Student Category. 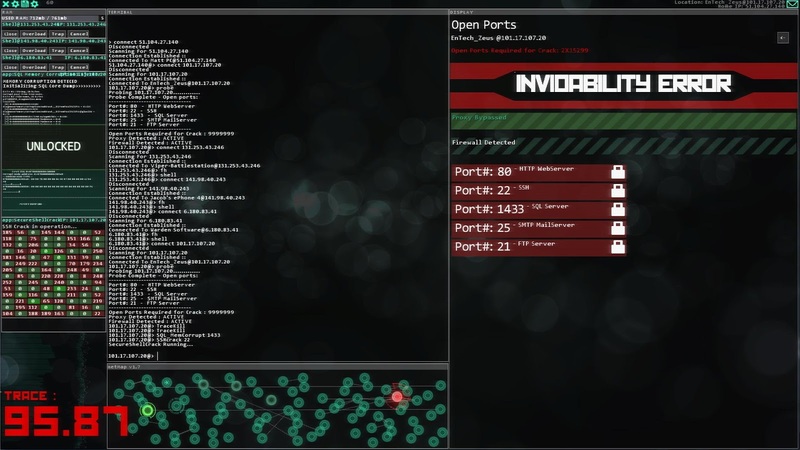 Hacknet is an immersive, terminal-based hacking game for PC with a fully internally-consistent network simulation and an interface so real you shouldn't play it in an airport. In the game, you'll be doing "real hacking". Using real UNIX commands and abstractions of real hacking processes, players dive down a rabbit hole as they follow the instructions of a recently deceased hacker, whose death may not have been the accident the media reports. You stand in for no one, as most games have you do - play for yourself, make your own decisions, and see the world react - if you're leaving a trace that is. Hacknet has no protagonist, other than the person using it. Don't be reckless though - it's more real than you think. 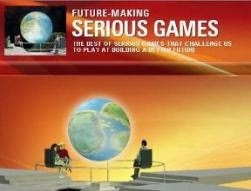 The game’s primary goal is providing a context to learn more about computer systems, terminals, interfaces and networks, and use that knowledge to exploit flaws in presented systems to progress. In addition, innovative tutorialization has been introduced to teach these complex skills faster. 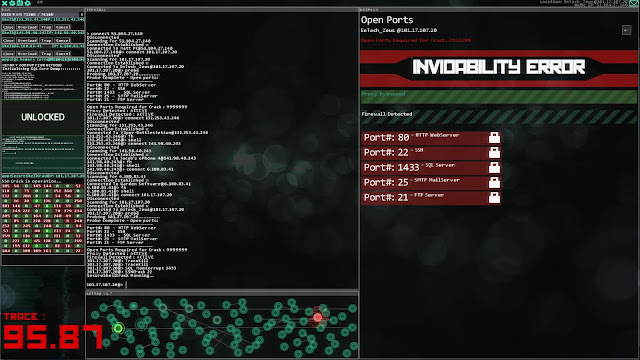 Hacknet’s central idea of creating a Serious Game to test and experience the potential vulnerability of computer systems, interfaces and networks is greatly articulated. With no explicit reference to what is being learned, the developer enables players to undergo a valuable learning experience, actively “constructing” knowledge around real working terminals and “languages” that interact with the world in a plethora of life-like situations, while building players’ confidence to deal with complex software problem-solving. The metric system is indeed quite intelligent, involving verification of usability and knowledge acquisition: each mission works as a gate that is only opened as the player demonstrates the required skills to pass through, becoming a more “powerful” hacker. This is counter-balanced by the parallel increase of the system’s complexity, thus holding players’ attention. 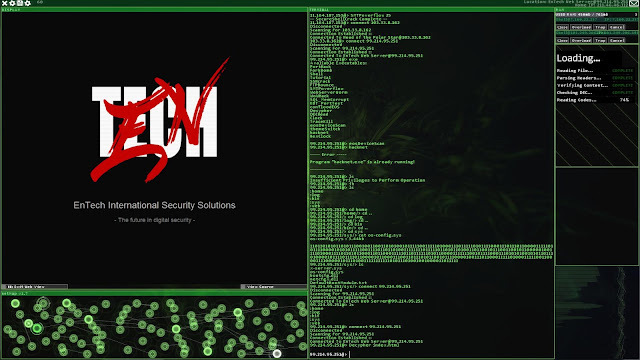 Another unique merit of Hacknet is the choice of creating an “unbroken” immersion experience - you as individual interacting with a computer program all along, demonstrating that any subject, no matter how abstract, can be integrated into good game design and engaging gameplay suitable for any player type. Trobbiani developed Hacknet over the course of three years in the spare time from his job developing military simulation software. Picked up by Australian indie label, Surprise Attack Games, it launched on PC in August 2015. Hacknet has grossed more than AU$650,000 since its launch, with more than 60,000 gamers having purchased the “niche” game. Trobbiani is now dedicated 100% to supporting and expanding the game. Support for Mac and Linux is expected by end of the year whilst his development wish-list includes mod support, localization and a discreet competitive multiplayer mode. 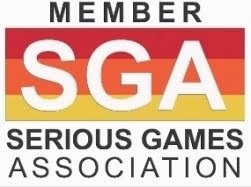 In addition to acclaim from gamers, the Serious Games industry has also taken notice: SIMTecT Australia applauded Hacknet’s educational applications and awarded the game its Serious Games Showcase & Challenge (Australasia) Indie Award.